Newsflash: there’s a gender pay gap. Women make less than men in the developed world. 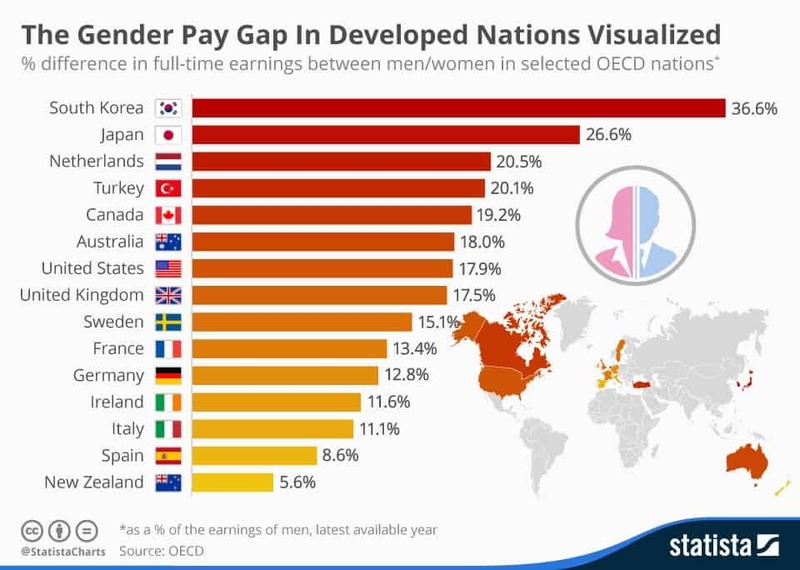 The latest statistics on the gender pay gap come from Forbes and Statista. Check out their infographic. Then if you wish things were better, share it, pin it, or otherwise pass it on. 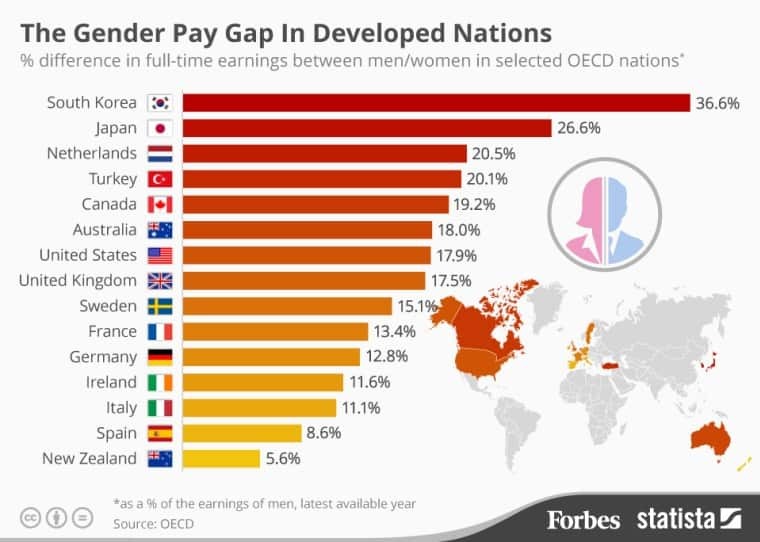 You’ll note South Korea tops the list, discounting the equal work of women by some 36%. Our friends in New Zealand are doing something right . . . or right-er. They have the teensiest gap of just 5.6%. Kind of like sales tax, only its tax on our femaleness, apparently. I share these things not to depress you. Rather, I do so to invite your comments as we — men and women alike — collectively puzzle over ways to make things better. To that end, what do you make of the gender pay gap? What would you do to fix it?